One of the editorial reviewers correctly noticed that in The Murder of Paolo Mancuso, my latest Joey Mancuso crime mystery novel, there are three stories in one. Good pick up on his part. One of the stories deals with a series of murders on South Carolinas’ Daufuskie Island. While visiting with family in Hilton Head in the winter of 2018 for New Year’s, we took a day trip to Daufuskie Island. The island is small, and most everyone has a golf cart. At the same time, it appeared to me that the inhabitants were a microcosm of the US, – all levels of social statuses. From guarded private entry communities to small shacks occupied by the local Geeches, -descendants of African-Americans from Georgia and Florida dating back to the late 1800’s. While there we ate at an outdoor burger place alongside a group of well-dressed teenagers sporting spiffy golf carts, obviously sons of the top echelon of the island. In the novel, these fellows became the Boys from The Citadel, better known as The Arrogant’s. I’m sure unfairly to them, but that’s how my mind works. Sorry guys, nothing personal. By the way, you’ll enjoy a little history lesson about the 1800’s and the conflicts between the Spaniards, British and Indian tribes of the time, as new settlements were taking hold in the south. The second story in the book, which I tie into the above, is the actual search for those responsible in killing Joey’s father, – Paolo. This part of the story is a carryover from previous books in the series, which Joey has spoken about, but unable to solve after twenty-years of the murder being a cold-case in NYC. A stop in Barcelona, Spain and Morocco, will add to the scenery in the book. Finally, Joey Mancuso comes to grip some demons from his past. He takes an inner-directed analysis of what drives him and if he’s running from or to something. A little clue, – his Dad’s history as a member of one of NY’s mafia families, had quite an effect on young Joey when at the age of sixteen, he witnessed his Dad’s murder. I think this is one of my best novels and I know you will enjoy reading it. A cadre of FBI and DOJ agents are conducting an investigation of the newly elected president of the United States in Washington, D.C., for suspected ties to the Russian government. A presumed Russian spy is found tortured and shot in the face in his high-rise condominium in South Beach, Florida. Incredibly, the perpetrators of the gruesome murder correctly copied the manner in which the victim was killed, as described in best-selling author, Jack Ryder’s last novel. Jack is a forty-year-old divorcee, and retired financial analyst turned crime mystery writer. 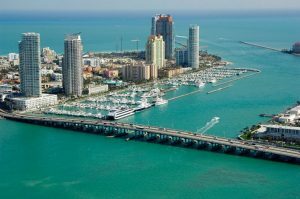 His new lifestyle does not include; – alarm clocks, suits, or ties – living carefree onboard a forty-four-foot yacht with his beagle – Max, enjoying the peace of South Beach, and the clubs and ladies that abound the area. Logan Robert, former Army Special Forces and now homicide detective for the Miami Beach Police Department, gives Jack a choice; either be under suspicion for the murder or help solve this crime. But, there’s a condition; -because of the Feds hovering around the MBPD station like flies on molasses, waiting to see what the MBPD uncovers; -the murder investigation must be conducted from Jack’s boat, the Easy Ryder, docked at the Miami Beach Marina, while a bogus parallel investigation continues from the police station for the benefit of the Feds. Jack wants no part of this. However, his choice of being embroiled in a murder inquiry with the Feds or helping solve the crime, especially one in which he feels plagiarized and violated, makes the decision obvious. Multi Award Winning author and master storyteller, Owen Parr, has a new hit series; Jack Ryder, Logan Robert Crime Mysteries. The case of the Dead Russian Spy, is book one in the novella series. PI Joey Mancuso was just a kid when he watched a stranger walk into a Little Italy bar, shoot his mobster dad in the chest, and calmly walk back out, disappearing into the Manhattan din. The murder was never solved. And the old mob adage “an eye for an eye” went unfulfilled. Buy an autographed copy from Owen Par. But now, at death’s door, infamous mobster Tony the Hammer summons Joey and utters three mysterious words: “Wetherly Stevens, Barcelona.” Joey has no doubt he’s just been told how to find his father’s killer. Revenge, deep-seated wounds, that agonizing cold case, and a mysterious series of small town murders all come to a head in the 5th hard-boiled Mancuso/O’Brian mystery—with a dash of international intrigue—when witty ex-cop Joey, with the help of his PI brother, Father Dominic O’Brian, attempts to track down his father’s murderer in Barcelona and Hilton Head, SC. From tantalizing tapas near La Sagrada Familia to bourbon-soaked pulled pork sandwiches at a South Carolina B&B, murder couldn’t get any more flavorful—or more personal. Armed with only those three words, and—true to form—with no plan and very little research, Joey flies straight to Barcelona, where he tracks down a partner of Wetherly Stevens, a New York financial investment firm with offices in Spain. But what does a New York wise guy have in common with an investment banker? Perhaps retired partner Alexander Wetherly has answers. Next stop: Hilton Head, where Wetherly is happily ensconced with a houseful of help serving up bottomless Arnold Palmers. But a peaceful Q&A on quaint Daufuskie Island turns murderous when the elderly gentleman who runs Joey’s B&B winds up stabbed to death. And this isn’t the first murder of its kind—it seems Daufuskie Island has a grisly and deeply-seated cold case all its own. With the help of his cohorts—including Father Dom and a talented hacker (their researcher, Agnes)– Joey meticulously puts together the pieces of two puzzles at once—and scrutinizes the connections between them—hoping to solve his father’s murder while preventing another from haunting the Carolina shores. One part seductive international travel story, one part old school cold case murder mystery, Joey Mancuso’s antics will prove a delight to PI and poilice procedural fans of Raymond Chandler, Joseph Wambaugh, Lawrence Block, and Rex Stout. Also recommended for fans of Mickey Spillane’s Mike Hammer mystery series, and, of course, the Sherlock Holmes adventures. 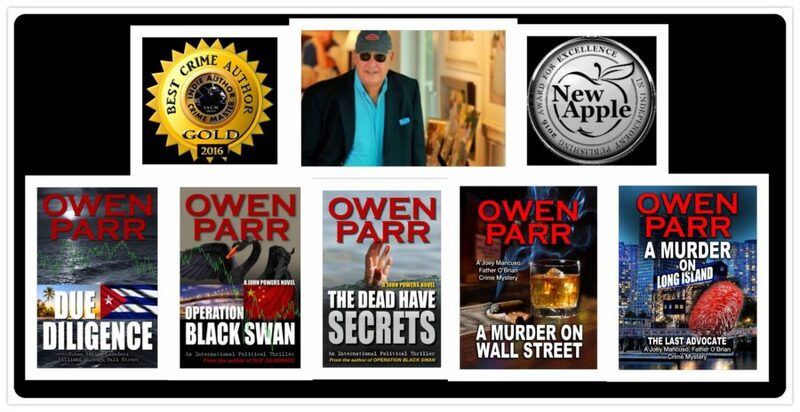 Author Owen Parr is a multi-award-winning novelist and best-selling author in the crime mystery genre whose acclaimed novels have received multiple awards. Parr is in the financial industry and a veteran of Wall Street from which he weaves and infuses many of the crimes in his novels utilizing some literary licenses. 1- New Apple Literary Services awards The Murder of Paolo Mancuso as their “Official Selection” in the Crime-Legal genre for 2019. 2- Author’s new book receives a warm literary welcome. Readers’ Favorite announces the review of the Fiction – Crime book “The Murder of Paolo Mancuso” by Owen Parr, currently available at: http://www.amazon.com/gp/product/1723308986. The Murder of Paolo Mancuso: A Joey Mancuso, Father O’Brian Crime Mystery, Book 5 is a hard-boiled sleuth mystery novel written by Owen Parr. While this is the fifth book in Parr’s series, the author gives enough background information within the story for it to be enjoyed as a standalone novel. When Tony (The Hammer) Falcone called Joey to his deathbed at Rikers Correctional Center, he gave Joey a name, Wetherley Stevens, and he told him to look in Barcelona. Joey had been waiting twenty years for a clue, any clue that could help him understand why there had been a hit placed on his father. Joey had been sixteen years old then, and thought of himself as part of the family. He had been there in that bar in Little Italy, with his dad and Tony the Hammer, when the man walked in and shot Tony and Joey’s dad. Tony survived, but Joey’s dad didn’t. Joey couldn’t understand why the family didn’t seek vengeance, nor did the police seem to do much to apprehend the killer, and the case quickly was consigned to the cold case files. Now, Tony’s deathbed confession finally gave Joey something to work with, and he was determined to find the answers which had so long evaded him. With no pending cases for his team, private detective Joey Mancuso decides to look into a 20-year-old cold case – the murder of his father in a bar in Little Italy, New York City in The Murder of Paolo Mancuso: A Joey Mancuso, Father O’Brian Crime Mystery by Owen Parr. After all this time, it turns out that a death-bed clue by Paolo’s best friend, who was also injured in the shooting, gives Joey what he needs to start an investigation. While tracking down the names given by Antonio Falcone right before his death, Joey finds himself in the middle of an unrelated murder on an exclusive South Carolina island. This blows Joey’s cover and makes his investigation into his father’s murder a bit more difficult, but his crew in New York do what they do best – dig deep, follow suspects, and come up with more information to guide Joey from New York to Barcelona, Spain, and eventually Morocco. As ‘the last advocate for the victim’, Joey is relentless in uncovering the past and digging up well-hidden secrets. Will he finally get justice for a crime committed so long ago? 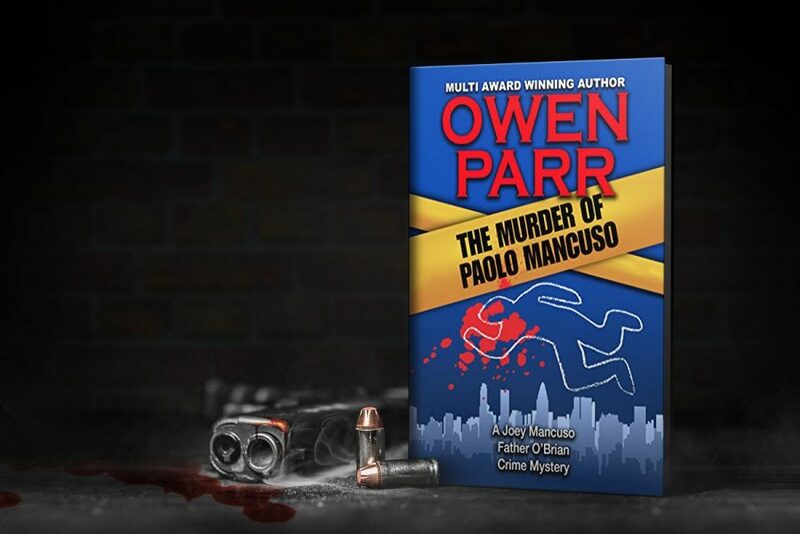 Owen Parr has created another fantastic murder mystery with The Murder of Paolo Mancuso: A Joey Mancuso, Father O’Brian Crime Mystery. Although not as involved in this volume as in previous books, the supporting cast is interesting and adds to the allure of the story with their diverse natures, quirky behavior and strong attitudes. Dialogue and action are mixed well to inform you and move the story along and anticipation is stoked, urging you to keep turning the pages to see ‘whodunit’. I applaud Parr’s imagination and attention to detail. This is another excellent tale by Owen Parr and is perfect for a day at the beach or pool, or even in front of a roaring fireplace. The Murder of Paolo Mancuso: A Joey Mancuso, Father O’Brian Crime Mystery by Owen Parr introduces us to an unlikely pair of crime solvers; half-brothers Joey Mancuso and Father Dominic O’Brian. Joey’s father, Paolo, was fairly high up in one of New York’s crime families when he was murdered in front of his teenage son, some twenty years ago. That and the influence of a New York City police captain saw Joey turn away from his father’s occupation and instead train to be a New York City Detective. After a successful career in the police force, Joey and his half-brother Dom, a Catholic priest, have joined forces in business, running both a cigar bar and a private detective agency. Haunted by his father’s unsolved murder and with new clues provided by Paolo’s best friend on his deathbed, Joey decides it is finally time to put this mystery behind him and discover who ordered the hit on his father all those years ago. Owen Parr has created an unusual set of characters for this series; headlined by Joey and his brother, but including the likeable Mr Pat, the former manager of their cigar bar, Joey’s wife, FBI Special Agent Marcy, and their tech whiz, assistant Agnes. The cast of different characters is probably what lifts The Murder of Paolo Mancuso: A Joey Mancuso, Father O’Brian Crime Mystery above your average murder mystery. The story is very readable, with straightforward language and a plot that flies all over the place, keeping the reader continually guessing and wondering. The plot is complex and twists relentlessly, taking the reader from New York to a small island off Hilton Head on the east coast of the US and across to Barcelona, among other places. If murder mystery is your thing, or police procedures, then this book will surely satiate your appetite. I felt myself, as a reader, continually drawn to comparison to the works of Ed McBain. I saw character parallels between McBain’s main hero, Steve Carrella, and Joey Mancuso very clearly. The styles are similar. 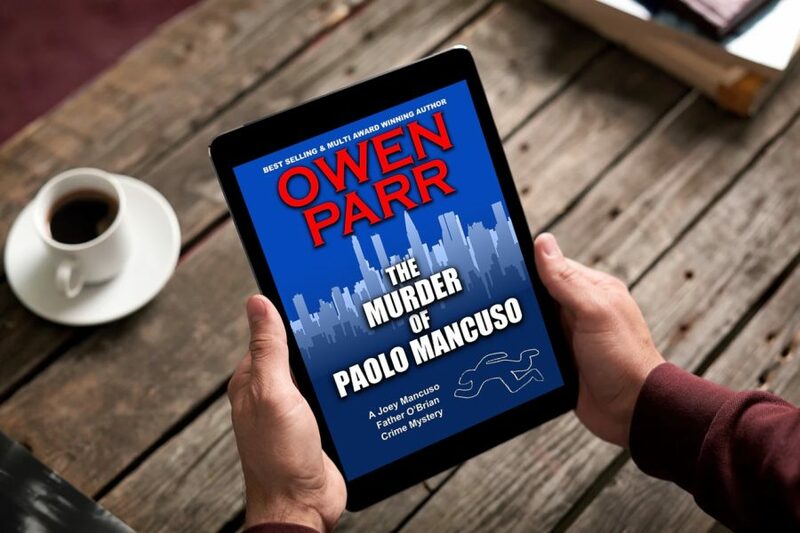 You can learn more about Owen Parr and “The Murder of Paolo Mancuso” at https://readersfavorite.com/book-review/the-murder-of-paolo-mancuso where you can read reviews and the author’s biography, as well as connect with the author directly or through their website and social media pages. The Souq or Bazzar or Market in the old town of Marrakesh in Morocco in North Africa. The 4th Mancuso – O’Brian Crime Mystery almost here! Joey & Father O’Brian are asked to help with the abduction of a student at the University of Miami. Little did they know this case would put them in the cross hairs of ISIS and an antiquities collector, who must protect his identity at all costs. 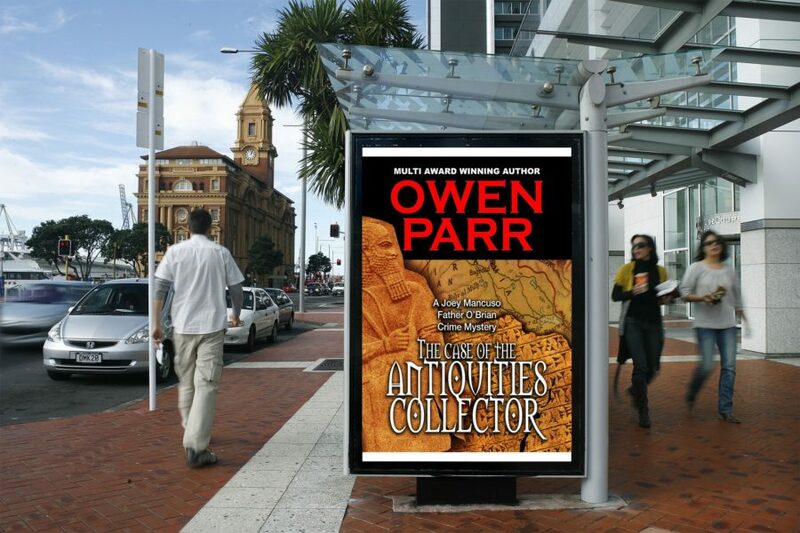 The Case of The Antiquities Collector by Owen Parr coming in April 2018. 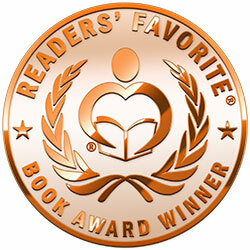 Readers’ Favorite has awarded the 5 Stars for top reviews to all Joey Mancuso,Father O’Brian Crime Mystery series. 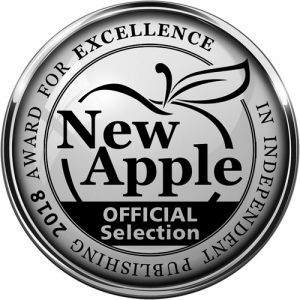 For the second year in a row, New Apple Literary Services has awarded me the 2017 Solo Medalist for Mystery, for – A Murder on Wall Street, the 1st is the Joey Mancuso, Father O’Brian Crime Mystery series. I’m honored and humbled to have this award two years in a row. It’s humbling and rewarding to receive awards from various sources. New Apple Literary Services has awarded author Owen Parr’s book, ‘The Dead Have Secrets’ the solo “Medalist Winner” in the Mystery category of our 2016 New Apple Annual Book Awards for Excellence in Independent Publishing! Parr is a 30-year plus veteran of the Wall Street industry. Still employed in the Financial sector, Parr incorporates his savvy into a fusion of facts and fiction to deliver well-plotted and extremely well-developed characters into his political intrigue and mystery novels with an uncanny ability to draw the reader into the story. If one were to compare Parr’s novels to best-selling established authors, it would have to be that his style combines the best of Robert Ludlum and Michael Connelly. I’m honored to have received 4th Award. 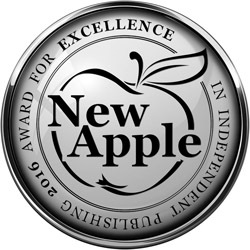 For second year in a row, New Apple Literary Services has awarded me the 2017 Solo Medalist for Mystery, for – A Murder on Wall Street, the 1st is the Joey Mancuso, Father O’Brian Crime Mystery series. I’m honored and humbled to have this award two years in a row. Working on my 3rd John Powers Novel entitled “Westbound,” which is sure to thrill John’s fan base. John needs to take a break and heads to California on his newly acquired Harley from the Florida Keys to clear his head. On the way, John being John, he picks up a young attractive lady hitchhiking. Unbeknownst to him, she happens to be a nymphomaniac, jihadist, serial killer who is intent on avenging her families demise by killing as many active military or former military men. John is in for surprise. And, so are you when you read it. Hoping to release before the end of 2016. Below is the entire presentation of awards to all the winners. Check them out when you have a chance. Do you like fiction? Thank you so much for visiting. I look forward to spending some time with you and to be able to share some insights into my books and the characters within them. Ideally, I want to explore together, the why, how, who and much more of my plots and the characters you are becoming familiar with. Sit back get your favorite drink and let’s enjoy our visit together. As you read my mystery romance novels you can find answers to your queries here. Go back and forth between the book and this site to enjoy the full experience of the stories behind the story. Feel secure that I will not divulge, on this site, any information that will take away from your own reading experience. However, my intent is to enhance your experience, to give you a peek at my thought process as I wrote a scene or developed a character. Each book has is own web page with links. If you have questions that I have not answered, please feel free to write me and ask them through the ‘contact’ link on this site. I will endeavor to respond quickly and directly to you, then I will add your query to this page. book immediately. I will not so patiently wait for the next book. thanks for writing it! A Murder on Long Island: A Joey Mancuso, Father O’Brian Crime Mystery by Owen Parr is the second entry in a series with interesting characters to follow, featuring sleuths, mystery, and murder. Harold Longworth could get a life sentence for the murder of his wife and, if indeed he never committed the murder, there is very little time in which to prove it. In fact, very few days! But the odds are stacked against him because every available piece of evidence indicates he might have killed his wife out of jealousy or because of her alleged intention to divorce him. The murder weapon bears his fingerprints and there is just so much to incriminate him. But did he really kill his wife? It is time for former NYPD Detective Giuseppe Mancuso and his half-brother, Father Dominic O’Brian, to prove his innocence. Owen Parr has created a story with an intricate plot, laced with red herrings and surprising turns. It’s hard not to like the sleuths and their unconventional methods of conducting an investigation. The cast of characters is compelling and readers will enjoy watching closely to find out what happens to both the characters and the story. Apart from the wonderful storytelling skills, the author demonstrates great mastery in the art of creating biting suspense, of excellent prose, and the ability to stir strong emotions in readers. The writing is crisp and it brilliantly captures the emotional and psychological depth of the characters, featuring great dialogues and vivid descriptions. A Murder on Long Island: A Joey Mancuso, Father O’Brian Crime Mystery is a real page-turner, a delightful read for fans of sleuths, mysteries, and thrillers. Settling in to read a murder mystery is always a satisfying experience, and with A Murder on Wall Street by Owen Parr, it is also an enjoyable one. In it, readers discover some lovable key characters in the form of Joey Mancuso, a former NYPD homicide detective who left the force in the midst of some “cooked up” charges with Internal Affairs, and his older half-brother, Father Dom, who loves solving mysteries and who is beloved by those around him as a priest with a keen understanding that if he lives his life as a testimony to others, he needn’t preach to them. Together the brothers own Captain O’Brian’s Irish Pub and Cigar Bar in Manhattan’s Financial District. There they meet a wide variety of patrons and from there, they work together to identify the guilty parties behind a series of crimes, beginning with a murderous shove of someone from a high rise, and quickly moving on to the hit and run murder of one of their key witnesses. Add in some financial thugs who’ve been running a Ponzi scheme, a Marilyn-Monroe lookalike with a string of assumed names, and the varied puzzle pieces, with some intriguing angles, eventually come together. Owen Parr has created a couple of appealing characters in Joey and Father Dom. They both display caring for one another and for Joey’s love interest, Marcy, for the patrons of their bar, and for their wider community. I appreciated Joey’s sense of humor and found Father Dom a quick favorite. Add in the rush of activity of Manhattan’s Financial District and some information that makes understandable some basic background principles of the financial world (such as how a Ponzi scheme works), and the story achieves depth. While the reason the brothers took on the mystery in the beginning (they didn’t have a client, they just didn’t think the conclusions the NYPD reached were in line with the facts as they knew them), and the method the brothers use to disclose the wrongdoers (a meeting with all of the interested parties, held at their bar), were both a bit unorthodox, the approach was certainly unique. This story moves right along, providing readers with an enjoyable getaway with characters they’re sure to want to revisit in other books in Owen Parr’s crime mystery series. Owen Parr has a fascinating imagination, he draws you in chapter after chapter. He is clever, and intimately descriptive in details, keeping the reader fascinated to what surprises lay around the next corner. Any one who loves detective mysteries will surely enjoy this book. He makes the reading time fly by. I read almost all of it in one sitting, Nice job Mr Parr, your books keep getting better and better! 5.0 out of 5 starsHOLD ON TIGHT ! Challenge your mind to solve the latest Owen Parr mystery—before the detectives do. Anyone who is a fan of Parr and his colorful characters — and I am– has followed with delight the development of his interesting protagonists. 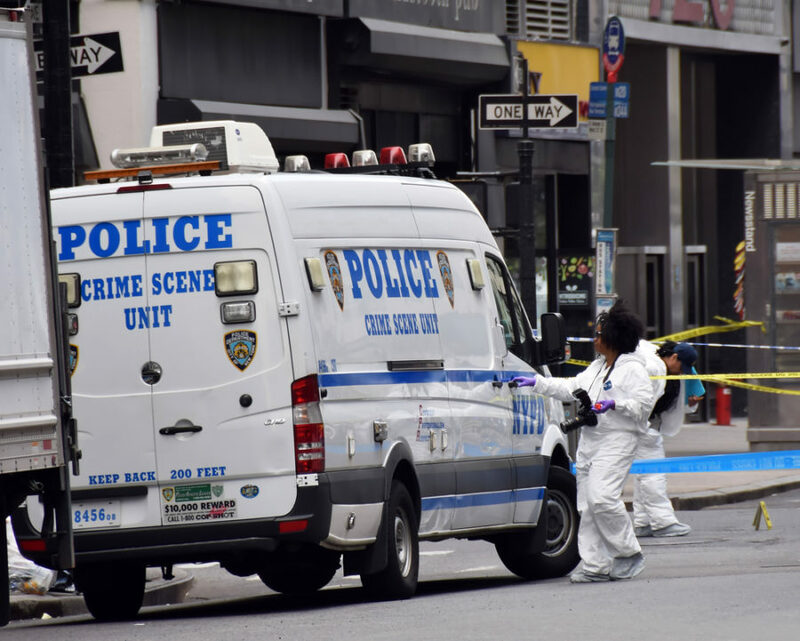 In A Murder On Wall Street, Parr has put a mirror up to the harrowing events we hear about every day, and filled in with considerable detail and understanding what is really going on underneath the 3 day news cycle spin. Using his vast experience in the financial world, his sultry Hispanic palette and never ending imagination, Parr packs us along for the ride. Through him we see some Justice finally done. Lots of fun! 5.0 out of 5 starsGreat Setting and characters make for a killer read! Bravo! Owen Parr has a knack for creating truly dimensional characters, and his firsthand knowledge of high finance make this Wall Street mystery a great read. The setting is unique, and the food references make you salivate, as you can almost taste the offerings. A Priest and an ex-cop private investigator co-own a bar with an interesting history, adding layers of dimension that make you feel as if you’ve been there. Lots of dialogue make the characters come to life. A Murder on Wall Street is a killer read! I highly recommend this book! 5.0 out of 5 starsWhat is Joey Mancuso into now? Joey Mancuso, a fired, retired, out-of-control NYPD detective is the kind of guy you want to hang out with. And in this book you sure do. His brother, a priest joins him and a gorgeous Cuban girl named Marcy. The murder is gruesome, the detection wonderful and you can’t put the book down. If I tell more, it will be a spoiler, that’s how fast-paced this is. I read all Owen’s work and it’s wonderful. Parr is a master storyteller, equally adept at weaving a tale of international political intrigue or, as he proves in his latest novel, a classic story of private sleuths cracking a New York murder mystery, with a side order of whiskey and cigars. You’ll want to have both on hand when you pick up this book. 5.0 out of 5 starsColombo Without the Trench Coat or Cigar. Excellent whodunnits book, reminiscing of Colombo without the trench coat or cigar. Twist and turns till the end can’t wait for the sequel. 3.0 out of 5 starsLightweight book. A Murder on Wall Street is a lightweight book. Full of silly plot devices and cliches. It would make a fine movie of the week from 1975. There is something about a well-written Detective/PI story that makes me not able to put the book down. The interaction of the private investigator (or in this case investigators) and the people surrounding the crime makes for such an enjoyable story. Joey Mancuso used to be a cop. He was forced off of the force due to some good police work that had him barking up the wrong tree. Now he helps run a bar that is frequented by Wall Street money men while trying to get a PI firm off the ground. He is joined by his half-brother Father O’Brian. And believe it or not, the combination of an ex-cop and a priest make for some awesome detective and PI work. After finishing A Murder On Wall Street I can tell you this — I will definitely be picking up other audiobooks in this series if Parr and Skyboat make them. I loved the interaction of Mancuso and Father O’Brien along with his interactions with his girlfriend and FBI agent Marcy. Mancuso mentions numerous times that he had a different way of solving crimes and that came out a little, but overall I found him to be one of the more enjoyable PI’s I’ve followed. The story itself was straight out of the playbook of real life crime TV show “American Greed”. Honestly, after finishing it, I feel like it was real and that I actually watched a documentary instead of reading a fiction book. Parr did his research — every character in this book felt both believable and like they could have done it. The ending reminded me a bit of the ending of the movie Clue (with slightly less comedy). Mancuso seemed to have an heir for theatrics (but I won’t ruin the ending by explaining why I mean here). Overall, A Murder On Wall Street was a highly enjoyable and relatively short crime thriller/mystery that I think readers of either genre will enjoy. Fans of American Greed should also check this out, it feels like it was ripped right from the headlines. Excellent Read!! 5 stars can’t wait for the next one. “The book was easy to read, the pages flew. A spy novel; a love affair; the stock market and an IPO; vivid depiction of Paris, Miami, Havana …; politics that have been 60 plus years in the making. As real life closely resembles the fiction created by Parr this novel stirs feelings deep inside those of us who have live in Exile and year for the freedom of those we left behind. Review: “This is the story of Alex and Julia, two Cubans that happen to cross paths in Paris; however, this is not your typical love story. Set against the backdrop of Cuba’s social politics and vibrant landscapes, Due Diligence is a tale of corruption and power. Through the eyes of Fidel Castro, a crucial character in the plot, readers are introduced to an enriching history of Cuba and a ploy to commandeer a government. It would seem that there is conspiracy lurking in the shadows, and somehow Alex and Julia are tossed in the mix. Alex is this hard-core, CIA militant with a boxer’s build and Julia is a descendant of the 1st president of Cuba. Although they are two vital pieces in this convoluted chess match, they somehow created a sparkling chemistry, adding a strong romantic element to this covert thriller. Fast paced suspense novel, with Cuba in the forefront. A timely page turner meticulously written and researched, right out of current headlines! 5.0 out of 5 starsBound to become a new favorite among political thriller aficionados. The Alpha Team temporarily splits in different directions while John takes on a different team for this new assignment. What was meant to be a straightforward counter-terrorist mission goes quickly awry, leaving John and his crew in a precarious situation. Meanwhile, another diabolical plot is brewing in Mexico City. Jackie and Mel (two of John’s Alpha Team) anticipate spending an enjoyable time with Julia, Alex’s fiancée. But the gal’s evening abruptly shifts when they get pulled over by police. Amid the turbulence, the last thing John expects is to find out that Jackie and Julia were kidnapped. Operation Black Swan is the first book in Parr’s new John Powers series. Quite the page-turner, Parr’s distinctive first-and-third-person plot carries all the intrigue expected in an international political thriller, plus more. In the midst of alternating scenes set in various parts of the world and a slew of reconnaissance-based dialogue, Parr places John Powers, his principal character, in the limelight. Everything about John’s persona and expertise perfectly matches the massively built six-foot-one former Delta Force operative, except for one quirky aspect: his snarky and laid-back attitude. While annoying at times, this off-kilter trait is truly a refreshing nuance to the plot. Additionally, Parr takes John’s idiosyncrasy a step further by assigning John the job of storytelling. Speaking directly to readers, John grabs their attention by engaging them with his thought processes and running commentaries. The third-person scenes are equally engaging since Parr tightly weaves in a flurry of political history and information on stock trading while developing his storyline. By shifting from first to third person viewpoints, Parr keeps his narrative light, balanced, and consistently fluid. No doubt, Operation Black Swan is bound to become a new favorite among political thriller aficionados. “Owen Parr has spun a fast-paced and entertaining novel of international intrigue and action that centers on a carefully orchestrated cyber-attack on the United States paired with wide-ranging terrorist acts – all aimed at rocking the American stock market and creating economic and civic chaos. At the center of all this is Parr’s main character, John Powers, ex-Special Forces and CIA operative who is a classic man of action with a mordant wit. Powers leads an elite team working for a private security and intelligence firm run by former CIA operative Alex Cardenas. Their hearts are pure, their methods are ruthless and often violent – with no apologies. The men and women of Cardenas’ small firm do what American law enforcement and intelligence operatives cannot. The bad guys in this book are an elite team of Chinese military hackers set on stealing the secrets of an American manufacturer of cutting-edge drone technology while also setting the stage for an elaborate manipulation of the stock market to reap economic havoc. The Chinese are allied with some rather nasty members of the Cuban army’s intelligence branch, personified by an imposing and vengeful colonel of Afro-Cuban descent, Abimbola Cruz. Throw in two dozen jihadi terrorists charged with executing the boots-on-American-ground part of the plot and you have a heady cocktail that mixes all the fears and dread of modern life. Parr doesn’t give the reader detailed descriptions of the ins-and-outs of cyber-attacks, stock manipulations or terrorist infiltration like you’d find in a Ken Follett book. Instead, he smartly states these as matter-of-fact realities that can and do happen on a daily basis, keeping his focus on well-developed characters, crisp dialogue and rapid-fire action, with Powers usually leading the charge. But not always – the women on his team are smart, gorgeous and deadly competent. Nothing like lethal skills and intelligence to burn to ensure gender equality. JOHN POWERS IS ON DUTY ! STRAP IN AND HOLD ON… IT’S A ROCKET RIDE INTO DANGER. “The New World Order. Just those few words are enough to shake democratic countries to their corp. A World order where all of mankind is subservient to the whims of a few powerful. Men that would decide every facet of our lives, what we read, see, hear, eat, but more importantly what we don’t see or hear, or read. Free people would be brought to heel, told what to do, where to work, what to say. Just the thought of a world controlled by a few men reeks of gulags, labor gangs, hunger, starvation, and death. When the Islamic terrorists attacked the United States on 9/11 the world fell into fear and turmoil. It was in this period of mass confusion the cabal to form a new world order put Operation Black Swan into motion along with their partners, the Chinese. ‘John Powers and crew take you on a wild ride through deception, betrayal, and the world of intricate conspiracy. This book is not to be missed. If you enjoy heart pounding adrenal rushes and excitement, this is the book for you. Author Owen Parr shows his skill with weaving the history of Castro’s Cuba into the current surge of terrorism and those that fund it. Note from Author — Sometimes the bad reviews offer a good critic. I took this gentlemen’s review to heart and added 5000 words to the manuscript changing the ending in both the eBook and paperback version. I offer anyone who has the paperback or eBook, and would like the updated, 2nd edition version, a complimentary copy of the new book. Just go to contact and write me. Thank you. A well-written suspense thriller with political twists with an international flare added in to spice things up. Parr gives us John Powers, a retired Delta Force soldier who finds himself employed by a friend owned security agency that is sent overseas to recover a client. During the rescue mission, he receives a frantic call from his ex-brother-in-arms wife, Casey. Casey’s six-year-old son and her are the target of some undercover Iranian hitmen. The suspense doesn’t end there; throw in a U.S. senator who was assassinated, the Department of Defense’s Charles Perthweiler along with Edward Raymore. Powers finds himself on the run with Casey, his godson and his teammates. Along with his team, he must figure out who put the targets on his back, his teams, and Casey’s – why are they after her and her son? Why is Powers a target now? Will he survive long enough to unravel the mystery? Always a step behind, Powers and his team must try to figure out how to get one step ahead. Parr develops his story in a slow methodical manner, with twists and surprises with the turn of each page. His characters are fully developed demonstrating a strong “team” rife with sarcasm, familial feelings and loyalty. Spinning a unique twist to mystery, Parr captivates and holds his readers completely. The dialog is realistic and genuine; descriptions are vivid. The audiobook is action packed and fast paced. One cannot help but stay for the entire reading. A complex story that Parr develops through to the end; both a political intrigue and financial thriller, The Dead Have Secrets is excellent. The narrator, Stefan Rudnicki is excellent. His ability to throw himself into the story adds to the riveting story line. Rudnicki speaks clearly and passionately when appropriate. His ability to slide from action into moments of sarcasm and wit is delightful. He voice was soothing but firm. I enjoyed hearing his narration of the story. There were no issues with the production quality of this audiobook. Everything was clear. I was originally daunted by the reincarnation/regression/past life trope but, happily, it works in the story. The book moves fast and was a great read on a transcontinental flight. It’s clearly well researched and reminds me of the classic Ludlum thrillers. I have not yet read the first novel in the series but felt the story stood by itself. “What an explosive read! This follow-up Suspense Thriller in the John Power’s Series from Owen Parr is sure to be the hottest thriller I will read this year. ‘The Dead Have Secrets” is like watching tomorrow’s cable news today. Only someone that knows about covert actions could write scenes so vivid and believable. Parr’s knowledge of the increased use of psyops and hum-int in today’s Intelligence Agencies is revealed in this fast-paced follow-up thriller in his Best Selling John Powers Series. 5.0 out of 5 stars Another hit for Owen Parr and his best selling John Powers series. “Shelter in place with John Powers! Owen Parr brings his unique background and experience to bear in this exciting second novel starring John Powers. The storyline is intricate yet easy to follow. The characters jump off the page into your imagination. The suspense rises and falls, dragging you along on a ride you’ll never forget. It is said you should write about what you know. If Owen’s novels are a reflection of that, he is one of the most dangerous, and creative, writers out there. This straight-forward and incisive guideline on “How To Sell,” not just your business but yourself- couldn’t have been arranged more perfectly than in this book. Mr. Parr’s instruction and recollection of experiences bring subtle yet realistic guidance to anyone looking to invest themselves. Recommend this to anyone, regardless whether in sales profession or not.